HoloHear is an application for the Hololens which translates natural language into American Sign Language (ASL) through a hologram. 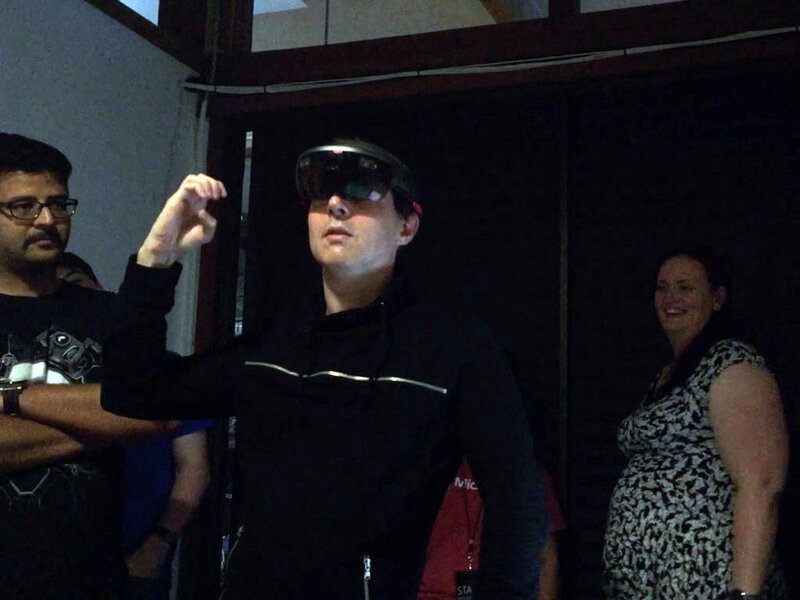 HoloHear came out of the SF holographic hackathon - 2016 June 17 to 19 - sponsored and supported by Microsoft’s HoloLens team, Upload VR Collective, SFVR, Unity, and Autodesk. In 48 hours we formed a team and created an application that turns spoken language into American Sign Language (ASL). It was an amazing experience and even more amazing to think that we can now create environments with mixed reality where more people can communicate as equals. While HoloHear won the prize for “Social Good” during the Hackathon, research done with the prototype has revealed further revisions are necessary. When shared with the deaf community they were concerned that they were being asked to wear helmets rather than just being accepted. Further design iterations will need to be made before the product interacts in an inclusive way.